Cheesy Grilled Pizza | Winners Drink Milk! Its National Pizza Day! 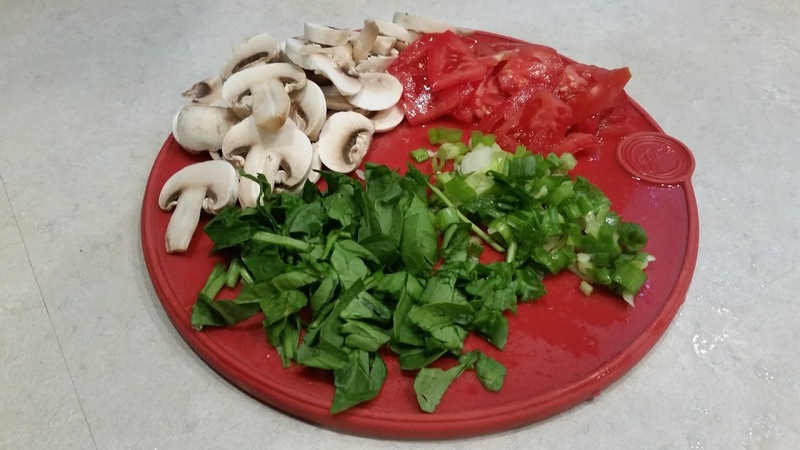 My husband and I thought we would celebrate by trying something new…making a pizza on the grill. 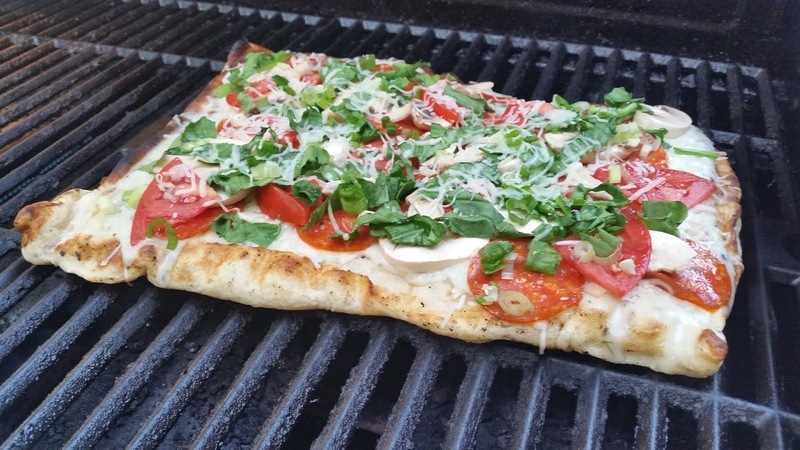 I did have some apprehensions about placing a doughy pizza crust on the grill, but this tutorial walked us through the process. We experimented a bit with sauce and toppings, but the pizza turned out amazing—one of our best homemade creations yet! 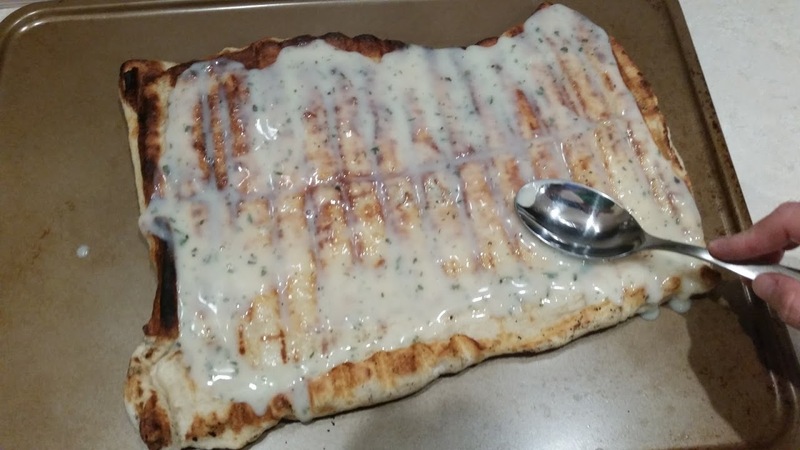 First, we sprayed aluminum foil with cooking spray then rolled out the dough on to the foil. Next, we fired up the grill and sprayed it with cooking spray. Then we very carefully laid the dough (dough-side down) on the grill and peeled off the foil. We let it grill for about 7 minutes on a very low setting. Then we flipped it and let the other side grill for just a couple of minutes. This is the side that will cook after the toppings are on, so we didn’t want to cook it too long. 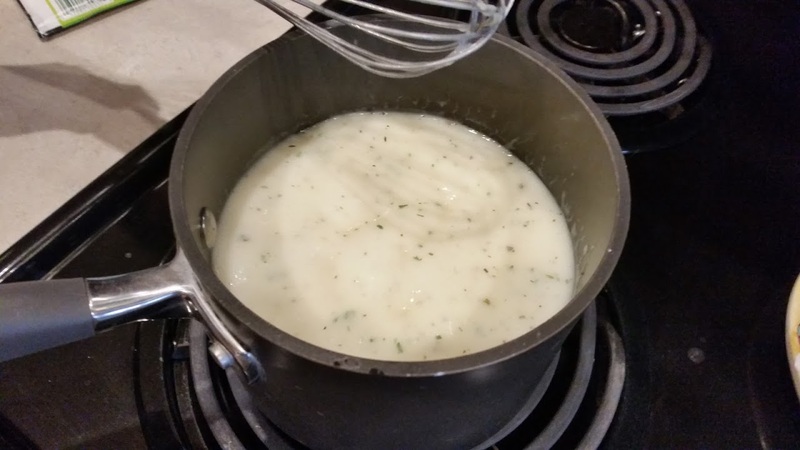 Meanwhile, while my husband was manning the grill, I made the pizza sauce—we like to experiment with different types of sauce, so I picked up a packet of garlic and herb pasta sauce mix, added milk and butter, and presto, we had an amazing sauce that kept me from having to chop up garlic or add any other type of seasoning to the pizza. 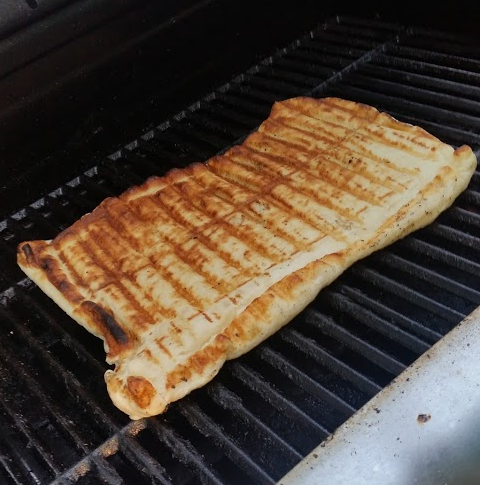 We took the crust off the grill and placed the sauce, cheese (I used a 6 Italian cheese blend), and toppings on our pizza crust and then returned it to the grill. We let it cook on the lowest setting for about 8 minutes. Then, it was ready to eat! 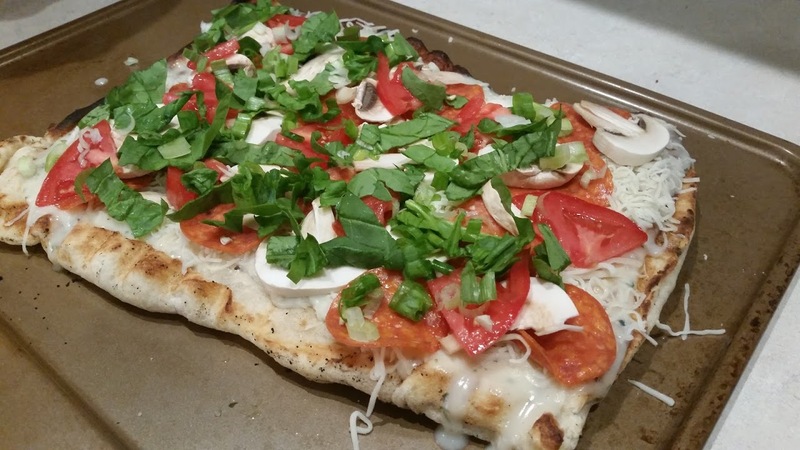 I will definitely make pizza like this again—it was fast, easy, and delicious.